反射稿掃描面積可達 8.5" x 14"；且最大透射稿掃描尺寸可到 8" x 10"
Professional Gel Scanner for Gel Electrophoresis, SDS-PAGE, Western Blotting, etc. Microtek's Bio-5000, performing advanced application in biological laboratory, is perfectly designed for image capture of dry or wet sample of gel electrophoresis, SDS-PAGE, western blotting, and so on. The Bio-5000, presenting greater image quality, has great features including 4800 optical resolution, 48-bit color, 0.05 O.D., and 4.0 Dmax,which delivers astonishing, sharpness and detailed image. With the Auto Focus technology, no matter the scanned target is uneven or crease reflective, Bio-5000 can solve problems, which presents near-original images. Only Microtek provides the Emulsion Direct Imaging Technology (E.D.I.T. ), which efficiently eliminates problems such as Newton rings and surface imperfection. The Bio-5000 is the best choice to digitize gel images and offer a total solution for biological professionals and researchers. 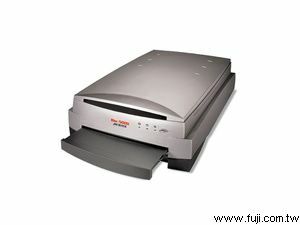 The Bio-5000 also features USB 2.0 connectivity; built-in around 8" x 10" transparency light plate; 8.5" x 14" scan area. 掃描速度 21秒 @ 300 dpi, 8"X14"